By Sam Goldman, Noozhawk Staff Writer | @Sam__Goldman | June 1, 2017 | 11:00 p.m.
First it was his brother’s hair in junior high school. Then other family members’ hair. At San Marcos High School, his fellow football players lined up at his house to get their hair cut, too. After bouncing around colleges and local stylist jobs, Jorge Salgado now has a space all to himself for The Barber Shop, his comprehensive haircutting and styling business that opened last month at 1233 State St.
For close to a year, The Barber Shop shared Santa Barbara’s 432 State St. with clothing store Wolf’s Head, and when the business outgrew the space, Salgado surveyed State Street’s array of vacancies — most of which wanted “an arm and a leg” in rent, he said — before settling on the 2,400-square-foot spot near Victoria Street. Salgado revamped the interior for a rustic and vintage barbershop look, highlighted by chairs more than a century old, including one owned by Gene Autry. A hair show is planned there for the first Thursday of July, and some days will feature live music in the shop itself. Salgado says looking sharp and professional and paying close attention to one’s appearance is a somewhat lost social ideal that is starting to come back in style, and one he says he wants to cultivate at The Barber Shop. “Whatever appearance you give out, you’re going to attract that back from people,” he said. 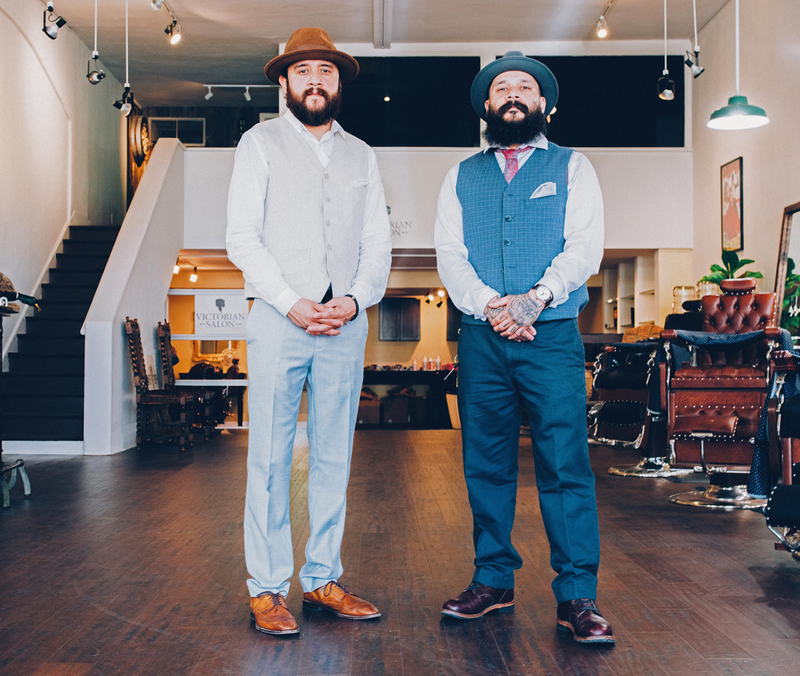 As he builds toward a July grand opening and the impending debut of a full-service salon in the back, Salgado’s in the process of expanding his barbering team, which includes his brother. His haircuts, he noted, come with a complementary beer or wine serving. The Barber Shop is currently open Tuesday through Saturday from 9 a.m. to 7 p.m. and, keeping with Salgado’s focus on the old-fashioned, accepts cash only.